Not everyone is meant to become a school principal. Some educators make the transition well while others figure out that it is more difficult than one might think. A school principal’s day can be long and stressful. You have to be organized, solve problems, manage people well, and be able to separate your personal life from your professional life. If you cannot do those four things, you will not last long as a principal. It takes a remarkable person to deal with all the negatives that you are forced to handle as a school principal. You listen to constant complaints from parents, teachers, and students. You have to deal with all kinds of discipline issues. You attend virtually every extra-curricular activity. If you have an ineffective teacher in your building, then it is your job to help them improve or get rid of them. If your test scores are low, it is ultimately a reflection of you. So why would someone want to become a principal? For those that are equipped to handle the day to day stresses, the challenge of running and maintaining a school can be rewarding. There is also an upgrade in pay which is a bonus. The most rewarding aspect is that you have a greater impact on the school as a whole. You are the school leader. As the leader, your daily decisions impact a larger number of students and teachers than you impacted as a classroom teacher. A principal who understands this reaps their rewards through daily growth and improvements from their students and teachers. Earn a Bachelor’s Degree – You must earn a four-year bachelor’s degree from an accredited university. In some cases, it does not have to be an education degree as most states have an alternative certification program. Obtain a Teaching License/Certification – Once you have earned a bachelor’s degree in education then, most states require you to get licensed/certified. This is typically done by taking and passing a test or series of tests in your area of specialization. If you do not have a degree in education, then check your states’ alternative certification requirements to obtain your teaching license/certification. Gain Experience as a Classroom Teacher – Most states require you to teach a certain number of years before you are able to become a school principal. This is extremely important because most people need classroom experience to have an understanding of what goes on in a school on a day to day basis. Gaining this experience is essential to becoming an effective principal. In addition, it will be easier for teachers to relate to you and understand where you are coming from if you have classroom experience because they know you have been one of them. Gain Leadership Experience – Throughout your time as a classroom teacher, look for opportunities to sit on and/or chair committees. Visit with your building principal and let them know that you are interested in becoming a principal. Chances are they will give you some increased role to help prepare you for being in that role or at the very least you can pick their brain concerning principal best practices. Every bit of experience and knowledge will help when you land your first principal’s job. Earn a Master’s Degree – Although most principals will earn a Master’s degree in an area such as educational leadership, there are states that allow you to become a principal with a combination of any master’s degree, the required teaching experience, along with passing the license/certification process. Most people will continue to teach full time while taking master’s courses part time until they earn their degree. Many school administration masters’ programs now cater to teacher’s offering one night a week courses. The summer can be used to take additional classes to expedite the process. The final semester typically involves an internship with hands-on training that will give you a snapshot of what a principal's job actually entails. 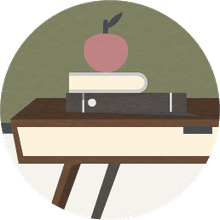 Obtain a School Administrator License/Certification – This step is remarkably similar to the process for getting your teacher license/certification. You must pass a test or series of tests related to the specific area you want to be a principal in whether that be an elementary, a middle level, or a high school principal. Interview for a Principal’s Job – Once you have earned your license/certification, then it is time to start looking for a job. Do not be discouraged if you do not land one as quickly as you thought. Principal’s jobs are intensely competitive and can be difficult to land. Go into every interview confident and prepared. As you interview, remember that as they are interviewing you, you are interviewing them. Do not settle for a job. You do not want a job at a school which you do not genuinely want with all the stress a principal’s job can bring. While searching for a principal's job, gain valuable administrator experience by volunteering to help out your building principal. More than likely they will be willing to allow you to continue on in an internship type of role. This type of experience will boost your resume and give you terrific on the job training. Land a Principal’s Job – Once you get an offer and have accepted it, the real fun begins. Come in with a plan but remember that no matter how well you feel you have been prepared, there will be surprises. There are new challenges and issues that arise each and every day. Never get complacent. Continue to search for ways to grow, do your job better, and make improvements to your building.